Most dogs require an extensive amount of exercise to stay healthy and happy. Keeping up with the routine can be a challenge during the summer days when the temperatures soar. Beat the heat with a dog cooling vest to help them stay cool throughout the day. Why Does Your Dog Need A Cooling Vest? How Dogs Regulate Their Temperature? This is by far one of the most popular cooling dog vests in the market right now. This vest by RUFFWEAR comes with a dual function. The Swamp Cooler lets your dog stay cool by reflecting the heat from the sun and evaporating the water from the surface. It’s a three-layer cooling jacket that attaches to your dog with a pair of side buckles that are easy to use. Dogs can get restless when they know you’re about to take them out so this easy-to-use buckle allows you to get them ready in seconds after you have soaked it in water. Our favorite feature here is the 3 layer construction. The outer most layer quickly wicks the contained water and enables fast evaporation. The layer in the middle stores the water by holding on to it and the innermost layer transfers it to your dog’s chest. We love it that his vest is available in a wide variety of sizes allowing for the perfect fit. The right size will cover your dog’s entire torso and make them feel comfortable and cool when on the go. Add some reflective trim and you’ve got a definite winner. The SGODA dog cooling vest is a terrific choice if you are on a budget. Unlike most low-cost dog cooling vests, this one offers both style and functionality. It’s very easy to get on and take off and covers a significant portion of your dog’s body, making it feel like a hug. If your dog suffers from anxiety, this is a great choice. It has a 3 layer technology cooling system that kicks into action when you soak it in water and put it over your dog after wringing out the excess water. It uses an evaporative cooling principle that works by transforming the water from its liquid state to vapor. The temperature drops in the interlayer and your dog will cool off by 30-50 degrees. The middle layer holds the water while the mesh does the cooling. Meanwhile, the sun’s heat gets reflected by the outer layer, causing more drop in your dog’s core temperature. We love it that this cooling dog vest is packed with a full range of functionalities, unlike its other low budget counterparts. Besides it amazing 3 layer cooling system, it is made of soft nylon for comfort, has a leash attachment made of zinc, comes with a zipper for an easy take on and take off, and a reflective surface for your dog’s safety. If you want a simple yet effective solution to keep your dog cool during the hot summer days, the Hurtta Cooling Dog Vest is your pick. It comes in a smaller design than most other cooling dog vests sold in the market, ensuring a better fit for your dog. It typically comes with a zipper for an easy take-on and take-off but you can also opt for other variations like a fastener for attaching a leash. What we like about this vest is that it is lightweight even when it’s damp. Another cool feature is that the vest changes color as it dries up so you know when to add more water. If your dog doesn’t like the standard cooling vests that cover most of their body, the Hurtta Cooling Vest is a great option. It’s a snug fit, looks great, and tells you when to add more water! Most dog cooling vests are bulky and can be uncomfortable for your pooch. If you want to ensure maximum comfort for your dog, this dog cooling jacket vest by LotFancy is the one for you. This lightweight vest comes with a Velcro strap and keeps your dog cool through evaporation. We love it that it is made using non-toxic materials to keep your dog safe. It’s safe for any dog breed, whether you have a Labrador, Corgis or Boston. The out layer comes in a light color to reflect the harsh rays of the sun. The lightweight material makes it possible for you to wash it frequently. We love it that it is lightweight and washable. If you are concerned about your dog’s health, LotFancy Dog Cooling Jacket Vest is the right choice for you because it is made using non-toxic materials. This one is a little different from the other dog cooling vests available in the market in that it uses an ice product which comes with the vest. It is lightweight and keeps your pooch cool for hours on end. It uses a unique cool fresh technology that has an ice cooling effect embedded in the fabric… much like a mini fridge wrapped around your dog! All you need is to add water and let your dog enjoy the cooling sensation. Go Fresh Pet Ice Vest is perfect if you have small to medium dog breeds. It comes in four different sizes: XS, S, M and L.
If you find your dog is too small for the standard sizes, Go Fresh Ice Cooling Vest is your perfect choice. We love it that the product gives icy freshness without using actual ice! Most people don’t use dogs for deer and hunting mostly happens during the summer. If you’re the kind who loves hunting or training with your dog, then the Smartelf Dog Cooling Vest might just be the right one for you. It comes in a bright orange color with a reflective article to maintain visibility under low light environment. It is made of PVA and mesh air panel for a breathable and lightweight feel that will not weigh your dog down during long hours of activity outside. The evaporative swamp jacket makes use of natural evaporation and cooling effect. Simply carry a bottle of water to drizzle when the vest dries up. We like it that this cooling dog vest is low maintenance. It is lightweight so you can wash it without any hassle. The air mesh panel and high-quality PVA is soft on your dog, ensuring high comfort during long hours of activity outdoors. 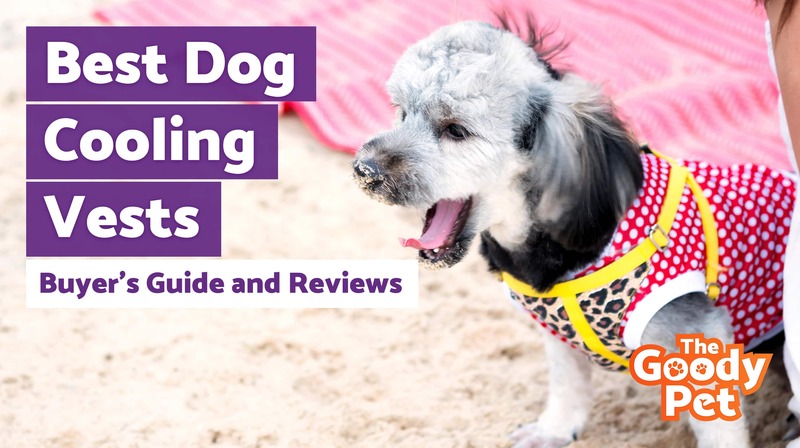 In order to pick the right dog cooling vest for your little furry friend, you have to understand what exactly it is and why your dog needs one. Dogs don’t sweat like us and so they tend to heat up real quick during the hot summer days. It’s pretty common for dogs to suffer heatstroke when their body overheats. You don’t want that for your dog. It’s very easy for a dog to get heatstroke when their core body temperature reaches or exceeds 109 degrees. If the temperature outside is over 90 degrees, you better keep your dog inside the house. Since dogs don’t sweat as we do, they are incapable of regulating their body temperature. When we get hot and our core body temperature increases, we can reduce the temperature by sweating through our skin. Human beings are extremely well adapted to regulating our body temperatures. Unfortunately, our little furry friends do not have this advantage. The only way for a dog to sweat is through a small gland located in their paw pad. Another way for them to regulate their core temperature is through panting. If your dog is feeling hot, they will start panting. With a dog cooling vest, you can help your furry companion to stay cool and comfortable during the hot summer months. When your dog wears it, the heat in their body will get transferred to the vest. The inner surface of the vest closest to their skin has cooling properties to help lower their core temperature and make them feel better. Different vests use different mechanisms to perform their cooling action and the most common method is evaporation. You shouldn’t really stress much over the mechanism, except that there are some methods that are more effective in humid areas. What is most important is the fact that they help to keep your dog’s body temperature at a moderate level. Hyperthermia (heat exhaustion) is a common problem in dogs. The thick coat of fur on their body traps in layers of air right next to their skin, keeping them warm and cozy during the cold winters. However, it also means they cannot get rid of the heat during hot days when they need to. It’s actually quite easy to cool down your dog. The thick coat of fur traps the heat emitted from their body. It can be difficult to cool their body temperatures once your pooch over-heats. Even transferring them to a cooler environment will not help. This is why it is very important for you to prevent their body from getting overheated. Getting a dog cooling vest is an easy option to keep your dog cool during those summary months. Contrary to what you hear, dogs do sweat. But it’s not through the skin like us humans. They sweat from merocrine sweat glands found in their paw pads which, unfortunately, aren’t very efficient. They also cool their body by panting. That’s why dogs pant a lot on hot days. When they pant, the moisture in their tongues and mouth evaporates and it cools down the temperature in their body. The blood vessels around their face and ears also expand (a process called vasodilation). It helps to bring the blood to the surface of their body. However, these methods are very limited in cooling their bodies and hence dogs tend to overheat real fast. Overheating is a serious problem in dogs and can be fatal. If your dog is suffering a heat stroke, you will notice heavy panting, excessive drooling, red gums, irregular heartbeats, muscle tremors, and even seizures. They will eventually lose their consciousness. If this happens, make sure to cool their body immediately and take them to the nearest veterinary treatment facility center. Picking out the right dog cooling vest is very important to keep your dog cool and comfortable while preventing a possible heatstroke. Most dog owners use it for outdoor activities like trail runs or during walks but it can also be a great accompaniment for dogs with dark coats during summers. Most of these cooling vests are based on the mechanism of evaporation. These vests are made using special materials to prevent it from quickly drying out in the sun. Most of them also have a water-repellent layer inside so that it doesn’t get your dog all soaked up in water. 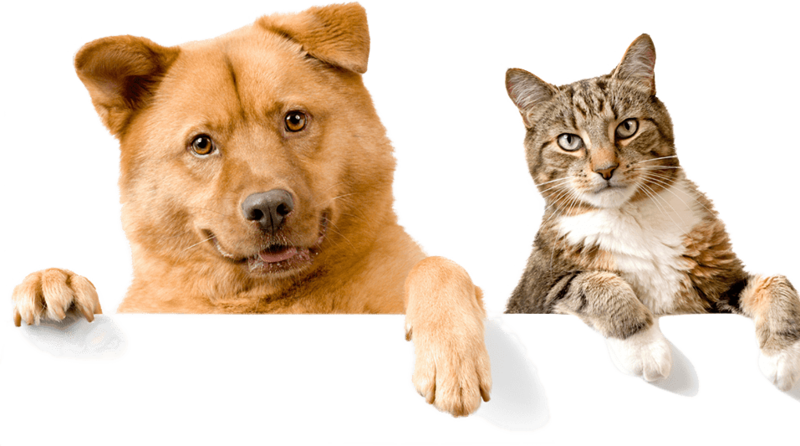 To help you find the perfect pick for your furry friend, consider these key elements. Essentially, a tougher exterior layer is ideal. Most of the inner layers are made of cotton for high water retention. You will also find specialty materials for specific purposes. The inner layer is very important because it needs to be water repellent to ensure your dog stays dry and comfortable. Make sure the cool vest covers your dog’s entire torso. This will keep their internal organs cool. Choosing the right size is tricky especially if you are shopping online. Breeds like bulldogs will find a better fit in cooling collars while average dogs will find ample coverage with different cooling vest varieties. If the vest is too tight, your dog will be uncomfortable. If it’s too loose, your dog will not benefit from the cooling effects. Most of the vests provide a wide variety of sizes. Instead of just guessing, get a tailor’s tape and measure your dog especially around the chest. Depending on what you need, extra features can be really helpful. A ring to attach the dog leash, for instance, can be really handy if you take your dog out for walks. Cooling vests can help cool down your dog’s core temperature but they won’t completely take away the heat. Here are a few guidelines to keep your four-legged friend safe when the mercury soars. When you go out, try and stay in the shade as much as possible. Besides protecting your dog from the sun’s direct heat, you will also protect their paws from hot pavements. Try and make your dog drink every 15-30 minutes, depending on their level of activity. Water foundations tend to break so carry a water bottle and a water dish wherever you go. Excessive activity will increase the core temperature in your dog. Ease back on the Frisbee and all the running around. Your dog may be able to walk for several miles when it’s cooler but remember to take breaks and rest in the shade on hot summer days. Give them time to pant by making a stop every 15 minutes. If your dog has thin fur or light-colored coat, apply some canine sunscreen when going out. Dogs get sunburned too. Another way to help your dog stay refreshed is by taking a dip in the pool. Cooling vests are great but having a dip in the pool every now and then can take the lethargy out of hot summer days. If you don’t have a backyard pool, buy a dog-friendly pool and let your pup have fun when it’s sweltering outside. Hyperthermia is a serious medical condition common in dogs. If you live in a hot climatic region, you simply must invest in a dog cooling vest. The bottom line is that your dog will be more at ease in the summer heat when wearing a dog cooling vest. Whether it’s just lounging around the house or making sure your athletic or working dog stays active despite the heat, there is simply no reason why you shouldn’t let your dog stay cool with a little help. While any of the dog cooling vests listed above should do just fine in keeping your pooch cool and comfortable, the RUFFWEAR Swamp Cooler checks all the features a dog lover would want in their dog cooling vest. It is also the one that has received the highest stellar reviews so far.